Transitioning from a skatepark to an urban environment on skates is a whole new world. We asked urban and park skater Danny Aldridge to share his advice for park skaters who want to expand their skating terrain to an urban setting. 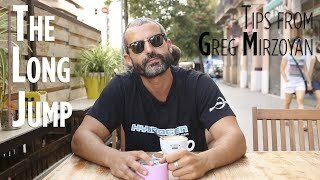 Two key points to consider: First, in urban skating there is movement all around you; people, cars, buses, strollers, etc. Second, urban skating encompasses a huge variety of terrain; cobblestone, grates, asphalt, granite, concrete, etc. As an urban skater you must master the basics and wear all the necessary safety gear. In this video Danny explains his choice of skates, The Rollerblade® RB 110 3WD skate. 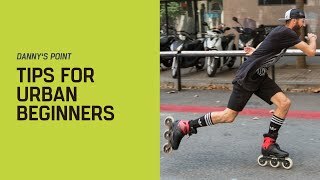 Danny walks through the basics for urban skating like how to start quickly, how to stop using the T-Stop, and how to turn in a small space, and the correct body position for ultimate control. In an urban setting you will encounter obstacles in your direct path. 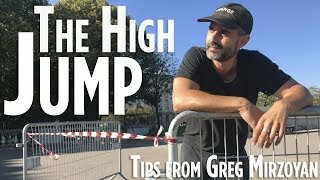 Danny shows you how to jump them with the perfect pop and jump. 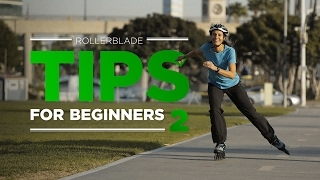 Then he shares his tips on how to land compressed and roll away smooth. We hope you enjoy this tutorial on transitioning from park to urban skating. Danny had a blast putting it together and we hope it helps you expand your skating environment. In every environment you skate in, Rollerblade® encourages you to be safe and respectful of your fellow humans. Have fun!